A passion for books is often symbolized by a love of the scent of new books. But it’s not only the scent of fresh ink and paper that excites book-lovers. The musty scent of a used book can be just as much of a turn-on for bibliophiles. 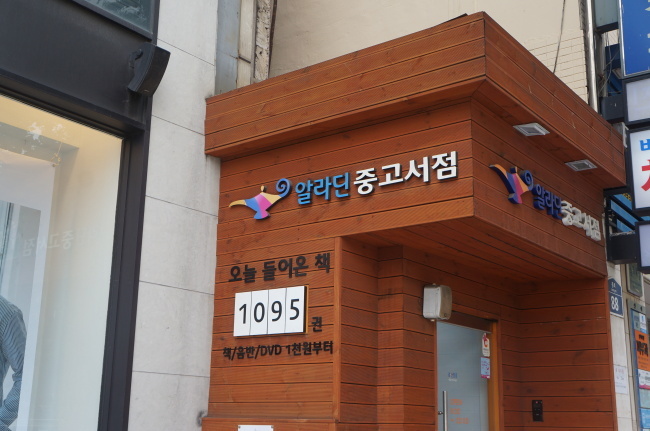 Cheonggyecheon Secondhand Book Street in Dongdaemun, central Seoul, is the most widely known spot for secondhand books. The market has been here since the war and though it has been modernized, the area still has its own unique atmosphere. 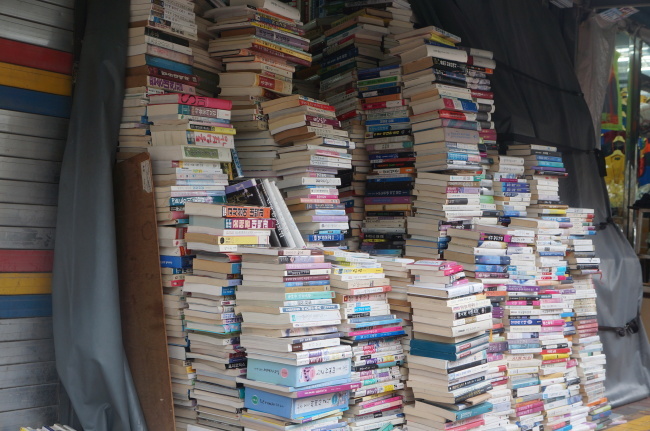 With books piled up in front of the stores, it can be hard for pedestrians to navigate. Walking past the collections of faded books, it feels as if time stopped in the 1970s. Inside, the stores are filled with even more books, stacked from the floor to the ceiling. A nostalgic smell of ink and paper fills the area, while aging storeowners walk up and down in front of their stores. 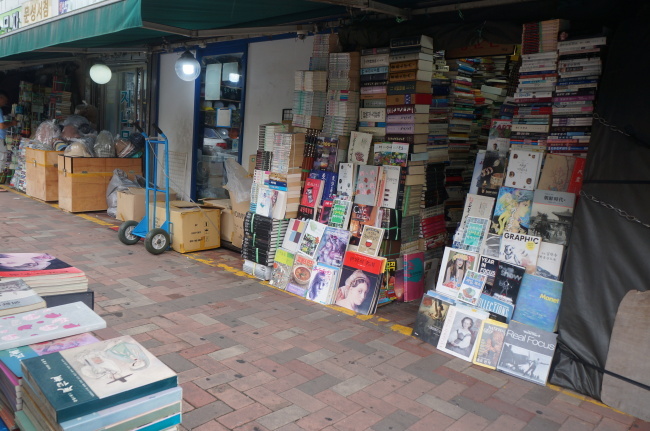 Though the stores do not look organized, the storeowners know the location of their books by heart. Kim, 74, has been working in the market since he was 18. With more than 50 years of experience, he has learned to truly love his workplace. Reflecting the demand for secondhand books, franchise bookstores stepped into the market in the early 2010s, modernizing the business model. Aladdin Used Books is a secondhand bookstore franchise that launched offline stores in 2011. The franchise now has more than 40 branches across the country. These used bookstores look like an ordinary bookstore. Unless one looks closely, it won’t be easy to tell that the books here are used books as they are all in good condition. Customers can use in-store computers to find the exact location of books. If the store does not have the wanted book, one can search online which branch may have it. 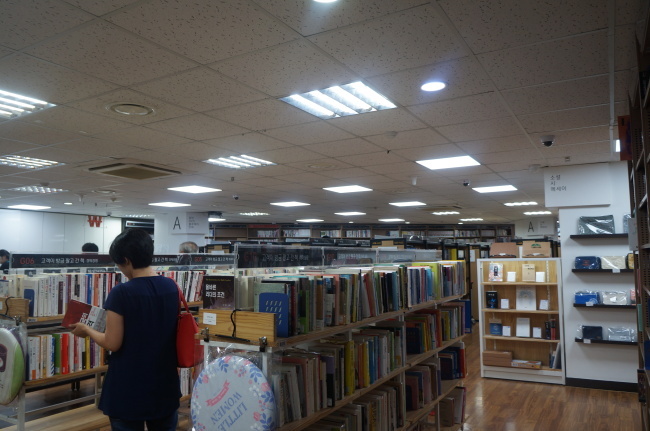 On a weekday afternoon, the bookstore’s Jongno branch was filled with students and office workers from the area. Aladdin Used Books also buys used books. 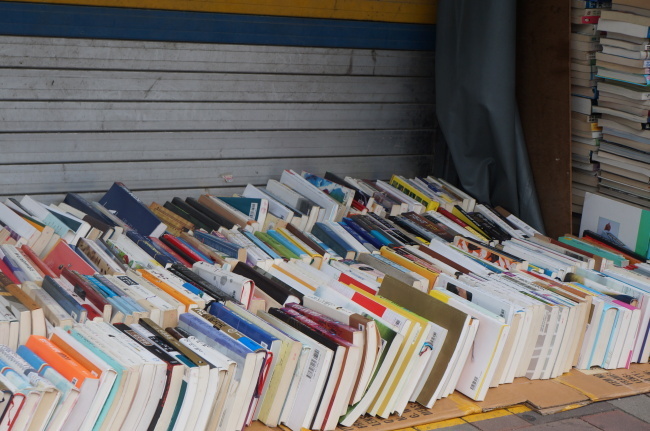 Those who want to sell can simply bring them into a store where they will assess the price based on the available stock and the condition of the books and pay you in cash on the spot. The store resells the books at a higher price.